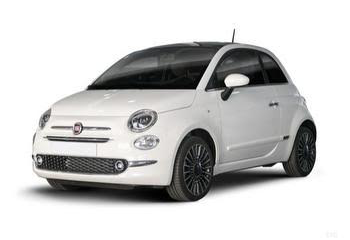 The cute, retro-inspired looks of the Fiat 500 give it an appeal few other city cars can match. You can provisionally book this vehicle by clicking the button below or calling us on: 01744 649 889. Our top-spec Lounge model comes with everything you could possibly want, including Bluetooth phone connection, alloy wheels, beautifully finished interior and air conditioning. Light steering makes city driving a breeze. If you require a specific specification please enquire before booking.